Dr. Bowers received his dental degree from the University of Florida College of Dentistry in 1984 followed by a General Practice Residency Certificate from the College in 1985. He then practiced as a General Dentist for three years with the National Health Service Corps treating patients in under-served communities followed by six years of Active Duty in the U.S. Navy. 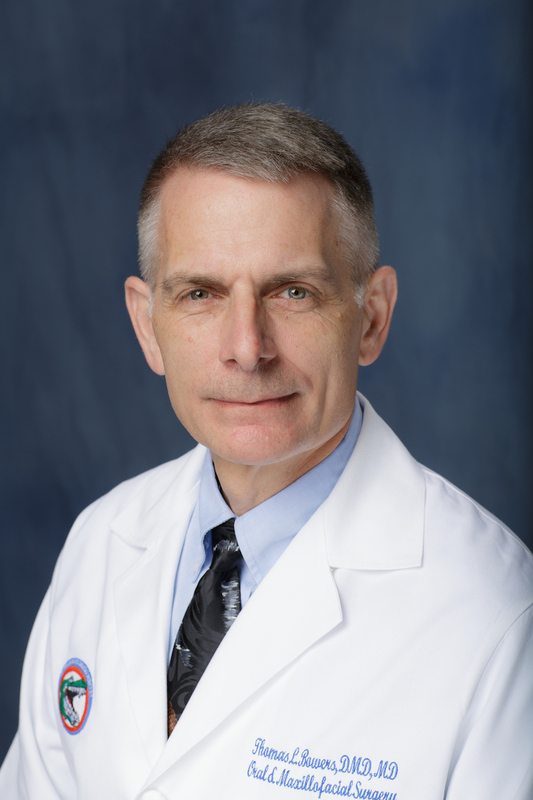 He continued his training at the Mayo Clinic in Rochester, MN, receiving his medical degree in 1998 and completed a General Surgery Internship and Oral & Maxillofacial Surgery Residency at Mayo as well. Following 17 years in private practice and one year as a part-time faculty member, he joined the University of Florida full-time to instruct both Residents and Undergraduate Dental Students.